Ophelia’s fate in Hamlet, one of my favorite Shakespeare plays, bothers me. A whole lot. So I’ve read and reread the play, and watched it and re-watched it. My conclusion: a whole lot of really smart people have missed some important aspects in her characterization. I can’t say I understand her any better than anybody else. But I don’t understand her any worse, either. I notice things. I ask questions. With that new understanding of Ophelia comes a second vision: a poor maiden tricked by Hamlet into losing her virginity, who then descends into a sad madness and commits suicide. But there’s something else going on as well. 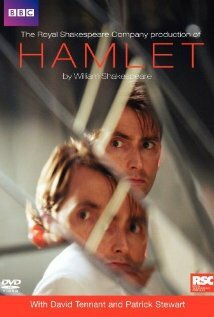 You know how Hamlet’s madness is always in question? At times, he uses it to conceal treasonous speech. The other characters make this clear when they say things like, “Though this be madness, yet there is method in’t.” He also uses it politically, to undermine the king’s authority as part of a revenge plot. 2) By threatening to set Laertes on the king and queen. In Act 4, Scene 5, line 75, she warns, “My brother will know of it.” And then he shows up — not alone, but backed by an army of commoners who are so fed up with the royalty that they want to install him as king. Dangerous things, words. 4) By using flowers to accuse Hamlet, the king, and the queen. Here’s an interesting interpretation, based on the meanings her flowers had in Elizabethan times: “Ophelia’s Flowers and Their Symbolic Meaning” by Katarina Eriksson. “Rue” was used for abortions, so when Ophelia says (to the queen?) “O, you must wear your rue with a difference,” she is implying that the queen’s rue was for adultery, and hers for pregnancy. The columbine she gave out was a symbol for male adultery and foolishness, so she’s insulting the king too — in front of witnesses. Is Ophelia’s madness partly feigned, like Hamlet’s? I think so. That’s a third vision of Ophelia: a wronged woman who takes what little power she does have in a patriarchal society and wields it with a vengeance. But perhaps there’s a little more to it. In Act 3, Scene 1, the king orders Ophelia to speak with Hamlet while he and Polonius spy on their conversation. Hamlet is very cruel to her. He asserts that all woman are unfaithful and therefore she is, too — or will be. It’s impossible to know what he’s really thinking. At some point in their conversation, he figures out that he’s being spied on and that Ophelia is being used as a pawn. So he could be faking it, or he could be angry because of the queen, or he could be angry because he believes that Ophelia, like everybody else in Elsinore, is lying for personal gain. Is she? It’s impossible to say. But let’s think about her financial situation for a minute. As a noblewoman, she is supposed to marry somebody, who will then support her. Hamlet, at first, seems like a possible catch — although, as Laertes points out to her, Hamlet will be expected to make a political marriage instead. But then he goes mad. And he has ruined her reputation. (Polonius heard about the “private audiences” by way of rumor.) If there’s any chance she can get Hamlet back, she’ll probably take it. And, as it turns out, there is a sort of change. The king and queen would have forbidden the marriage if Hamlet had towed the line and supported their marriage. But in his madness, he’s spreading all kinds of rumors. Who knows what else he’ll do? The king has already tried to bribe Hamlet’s affections by explaining that he is still in line for the throne. (Act 1, Scene 2, line 113.) If he could just get Hamlet married off, he’d have to behave himself. Unless Ophelia is a fool, she’d know all that when she obeys the king’s orders to be a political pawn. So there is, possibly, a fourth vision of Ophelia: as a Jane Austen hopeful, who understands her financial situation and takes steps to improve it through marriage. Which of these visions of Ophelia is the true one? Who knows. You’d really have to be an Elizabethan, watching the play, to understand all the political intrigues and innuendo — and even then, her character might be ambiguous. Maybe it isn’t possible to do anything other than misread Ophelia. Still, I have to say, I like some of the readings more than others. I like the readings where Ophelia has power. And the ones where she connives politically, instead of being a passive victim destroyed by her own sexuality. Maybe, after time and reflection, I’ll decide that these possible readings redeem the play for me. In the meantime, off to something more fun. Measure for Measure, here I come. In plain speech: Hamlet is my favorite Shakespeare play, but the misogyny rankles. It’s true that Hamlet’s scornful judgement falls on men and women alike, and it’s true that Shakespeare is quite clear on the sexual double standard between men and women, but at the same time, there’s way too much “Frailty, they name is woman.” I wish the play did more to redeem both Ophelia and the queen. In any case, the play can perhaps be improved (or utterly destroyed) by a bit of reshuffling. With no further ado . . .
That I have longed long to redeliver. You should not have believed me, for virtue cannot so inoculate our old stock but we shall relish of it. We are arrant knaves all; believe none of us. Go thy ways to a nunnery. I pray thee, stay not with us. Go to Wittenberg. and will bring him to his wonted way again.